Hiding dark circles is a project all by itself. For all the girls out there who have dark circles for one reason or another, know that you are not alone. In an effort to avoid the caked-on appearance of heavy concealers, I decided it might be time to try out a lighter powder. 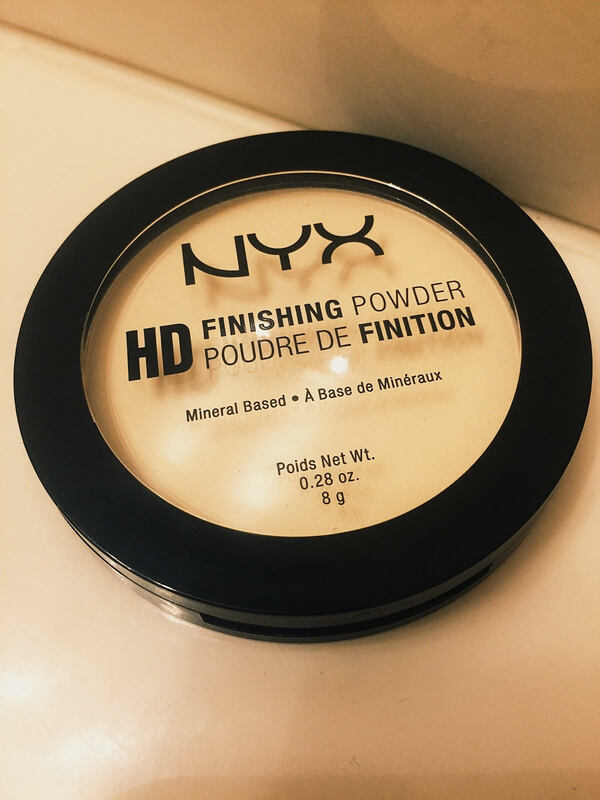 I found the NYX HD Finishing Powder at ULTA and decided to give it a whirl. The price was great so I figured if it didn’t work well, no biggie. The trend seems to be High Definition and translucent which almost seems like a juxtaposition however, I have found some success in using some other defining products in the past such as the Revlon Photo Ready Powder. I opted for the NYX HD Finishing Powder to focus specifically around my under-eye area where my circles tend to be the most pronounced. The NYX HD Finishing Powder is a light, translucent powder that effectively reduces the appearance of lines and pores on the skin. The powder is available in three shades including: Banana, Mint Green, and Translucent. I selected Banana as my powder of choice and immediately got to work on my dark circles. The powder really is lightweight but it does have a matte finish. In order for dark circles to appear less noticeable, I have found that there needs to be some illumination happening. Though the finishing powder did have a flat, dull appearance, it went on smooth and did not weigh down my skin or clog up my pores. I would compare the product to dusting a light layer of baby powder on your face. If the matte look is not something you are going for you, you can always brighten it up with some shimmer powder. The matte finish however, does reduce the appearance of fine lines around on the face to give a softer appearance. I would definitely recommend this finishing powder for anyone looking to soften those tiny smile lines around the mouth but, for combating dark circles, definitely go for some added glitter, shimmer, and shine.